* The African elephant is the nearest living relative of the dassie. 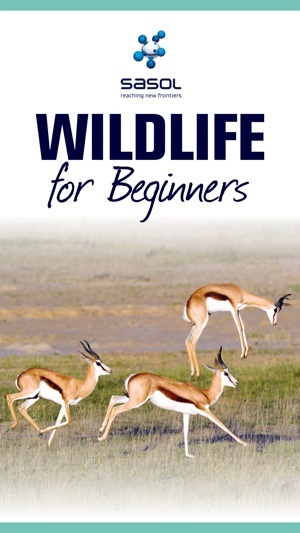 * The Western Barn Owl doesn’t hoot. 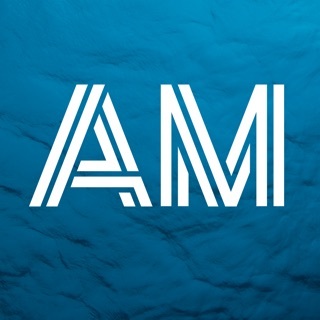 * The leatherback sea turtle can stay underwater for over an hour without breathing! 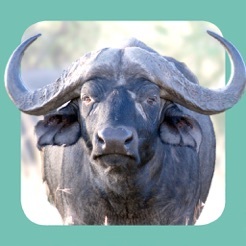 Learn these and other interesting facts about southern Africa’s animal kingdom with the Sasol First Field Guide – Wildlife app. 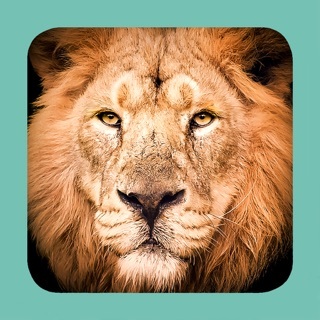 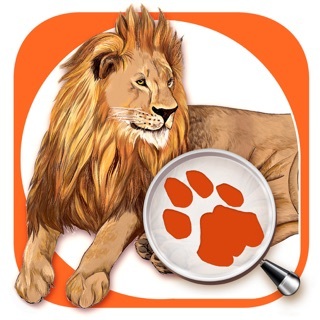 Quick and convenient, this app highlights the animals you are likely to spot in your garden, your neighbourhood, while hiking or visiting a national park or nature reserve. 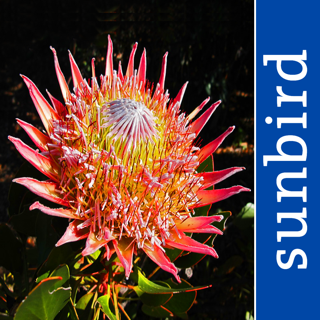 Southern Africa might be famus for the iconic ‘Big 5’, but it is also home to a rich variety of creatures, from the tiniest of spiders to the most magnificent birds. 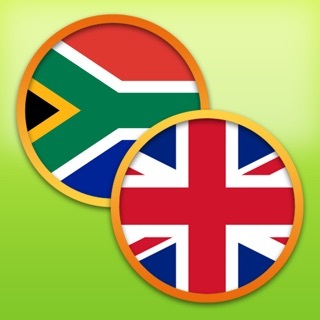 This app is perfect for beginners, or someone visiting the region for a short while. It includes beautiful photos, videos, animal calls, maps and easy-to-read information about the animals (including their conservation status). 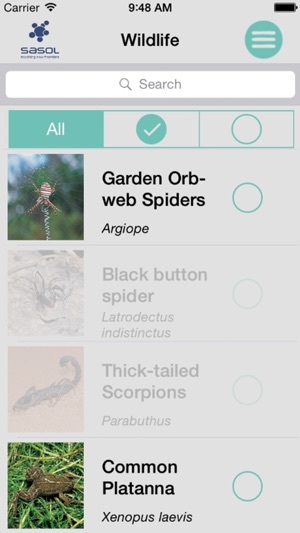 This app includes 5 free species accounts. 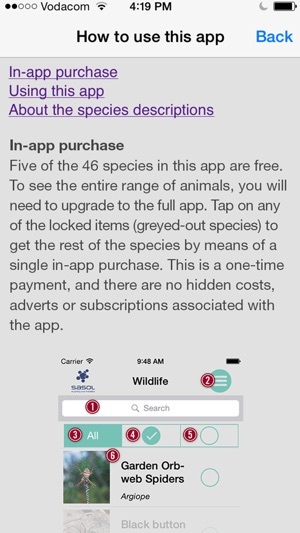 The remaining 41 species can be unlocked with a single in-app purchase. 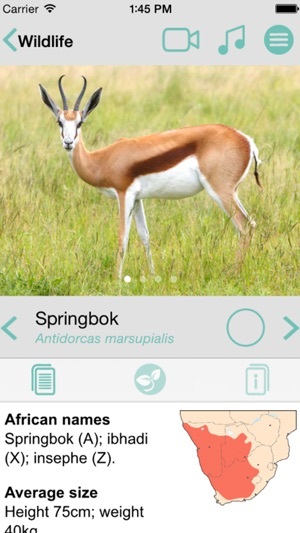 The size of the app is about 160 mb, as it includes all 46 species in the initial download.